Enjoy a Monolingual Tour provided by an English Speaking Guide. 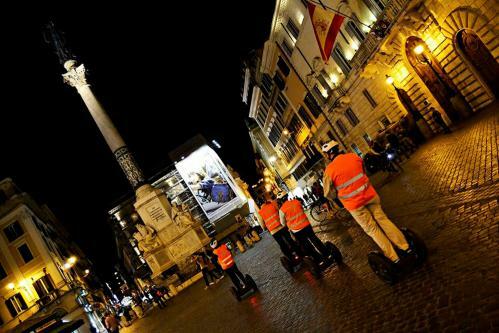 Enjoy the Eternal City at its best with our Segway Night Tour! The magnificence of Rome at night is unparalleled by any city in the world. 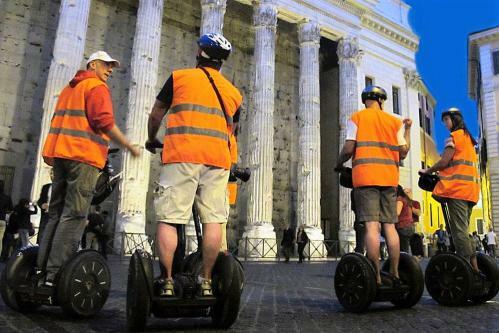 Experience a full 2.5 hour Segway Night Tour of Rome’s most celebrated visitor attractions. All of our tours are lead by fluent English speaking tour guides. Our night tour is always limited to smaller groups in order to make the experience much more intimate. WHAT'S INCLUDED: Segway rental, orientation session, tour guide, headphones, helmet, ponchos in case of rain and insurance. Low price guarantee! If you find a better price elsewhere for the same service within 48 hours, we will refund the difference. 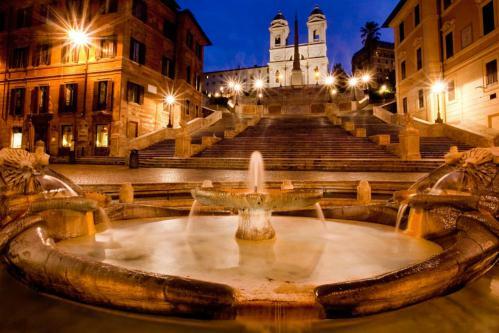 To experience Rome at night is to experience Rome at a much more personal level. Gliding around Rome after sunset, our evening segway tour is designed to allow visitors to experience the city much more intimately. Starting in the Forum of Trajan, we will venture out through Venice Square and proceed to the Pantheon. Meanwhile, as the stars turn over head our English speaking guides will relate the history and legends surrounding Rome’s most must-see attractions. Venturing onward towards the famous Navona Square, you will learn some of the stories behind Rome’s most ornate fountains and baroque mansions before adventuring on to the ancient Temple of Hadrian. With plenty of time for pictures, we will then head across the little allies and through the present day Italian Parliament building. 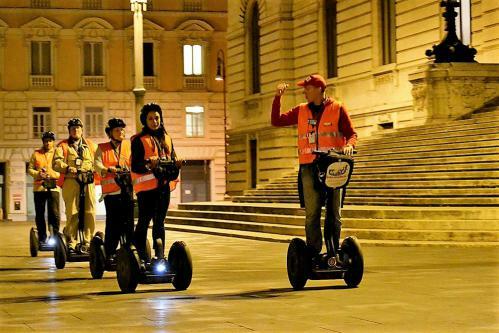 Faster and ultimately much more exciting than just walking, our evening segway tour will then lead you out on to Colonna Square, a monumental open space which has existed since Antiquity. 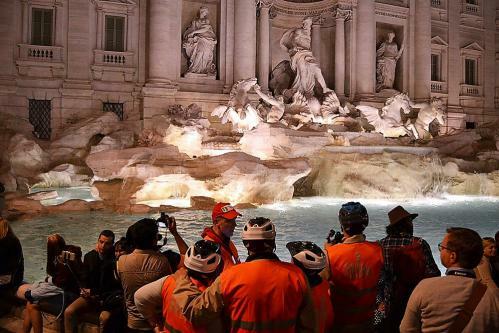 Moving on to the romantic bustle of the Spanish Steps we will then end our tour of the eternal city at the eternally beautiful Trevi Fountain. 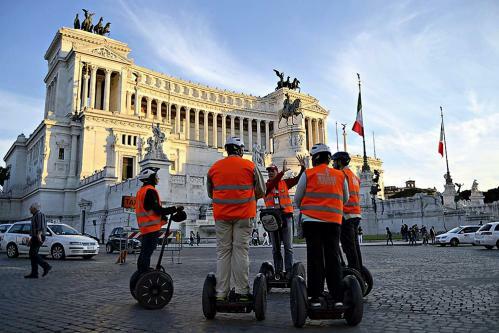 With Rome being one of the world's most magisterially beautiful cities, it is our hope that our evening segway tour will imbue you with the richest sense of the city as possible. Especially perfect for families and groups of friends, each of our tours are led by licensed local guides who we have hand picked over the years due to their deep local knowledge and attentiveness. 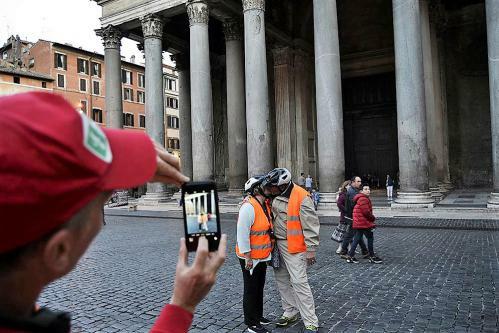 In like manner, prior to exploring Rome you and all other tour participants will be fully orientated at our premises until you feel completely comfortable riding our segways.